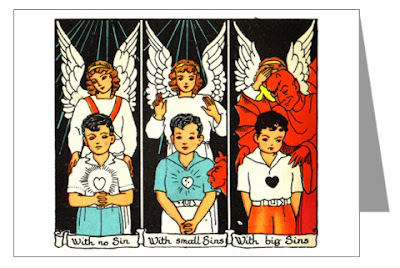 If you're a fan of graphic design, religious kitsch (or both), you might enjoy these. 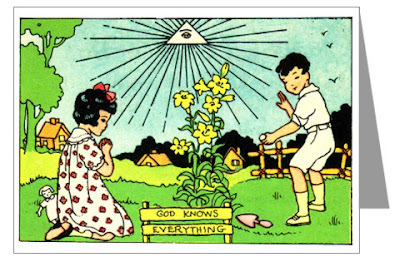 God knows everything. Wow, that one is my favorite. These are spectacular! Wow, can you feel the condemnation?! 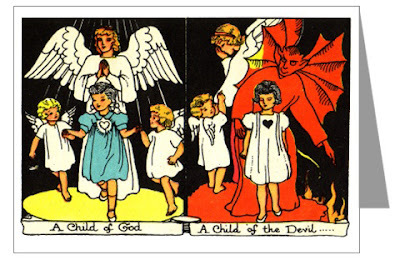 I don't know- the child of the devil looked like she was enjoying herself. I think her face should show more torment. The depictions of the children are very reminiscent of the work of outsider artist Henry Darger, who grew up in Catholic boys home.